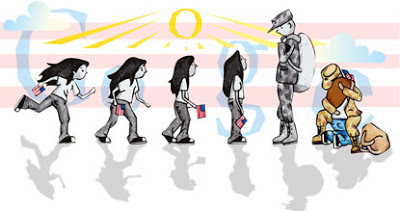 I love this Google Doodle by a 12th grade Wisconsin student that won the Doodle 4 Google contest; I voted for it. Did you? It certainly encompasses all that this day is about. love that drawing - it totally captures memorial day. This is such a nice doodle for Google to have yesterday! Hope you had a wonderful holiday weekend, Jaime!